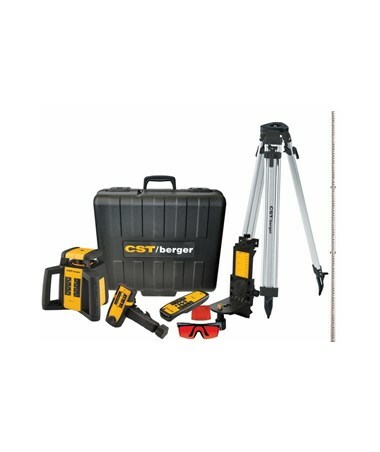 Built for construction job sites, the CST/Berger RL50HVCK Horizontal/Vertical Rotary Laser Kit is perfect for indoor and outdoor projects. 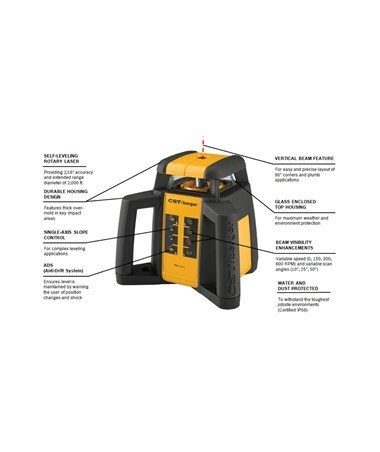 With a range of up to 200 feet without a laser receiver and 2,000 feet with a laser detector, this laser level is perfect for excavation, footings and foundations, concrete leveling, formwork, grading, commercial construction, drop ceiling installation, and cabinet installation. The RL50HVCK is self-leveling within ±5 degrees and provides an accuracy of ±1/16-inch at 100 feet. 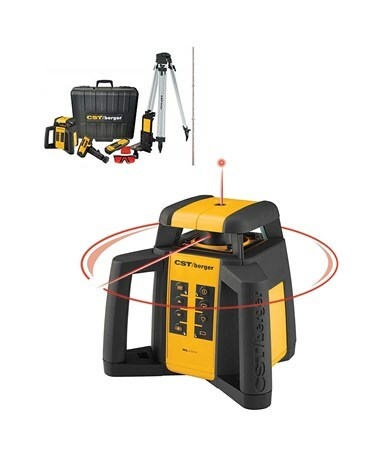 This CST/Berger self-leveling rotary laser features a rotational speed of 0, 150, 300 and 600 rotations per minute. It also offers three variable scan angles of 10, 25 and 50 degrees. For complex leveling applications, the RL50HVCK features a single axis slope control and vertical beam that makes it much easier when doing precise layouts for 90-degree corners and plumb applications. Plus, it comes with a Class 3R, 635-nanometer red laser diode for a more visible and stronger laser even when used outdoors. 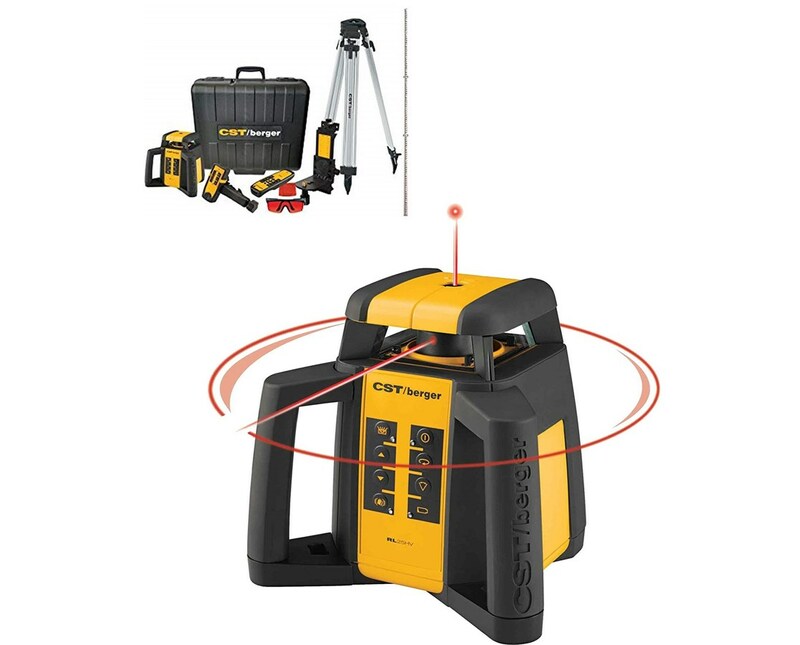 With an IP56 rating, the CST/Berger RL50HVCK rotary laser is dustproof and water resistant. It also has a durable housing design which features a thick over-mold in key impact areas. For maximum weather and environment protection, this self-leveling laser has a durable glass-enclosed top housing. Also, the anti-drift system ensures the level is maintained by warning the user of position changes and shock. It has an operating temperature of -10 to 50°C which endures harsh weather conditions. Accuracy: ±1/16" @ 100 ft.